Just a small fish in a river stream, but when roasted, Sharpbelly (Cá mương) becomes the special dish of Phu Yen people and of course one of Best Vietnamese Food too. In recent years, Phu Yen began welcoming tourists thanks to landmarks such as Gềnh Reef, Đại Lãnh Cape, Swallow tower ... But most tourists find Phu Yen most remembered through cuisine with unique dishes (also in our list of Best Vietnamese Food) but as simple as Rice Spaghetti Soup with Green shallot, Steamed Rice Cakes, Steamed Chopped Fish, Jackfruit sweet soup, Sharpbelly, etc. As simple as the dish is but Grilled Sharpbelly (Cá mương nướng) is a very famous dish in the land of Phu Yen where visitors can hardly ignore. In the above mentioned dishes, one can hardly forget the crispy, spicy taste of Grilled Sharpbelly rolled with ricepaper (Cá mương nướng cuốn bánh tráng). It’s a simple dish with a little golden crispy grilled sharpbelly, add a little fresh noodles, vegetables, ricepaper and Boomm… you've got a dish so tasty to resist. Like other freshwater fishes such as sand goby, white fish ... Sharpbelly shape is long and thin, up to an adult finger, usually live in herds in the rivers and streams in this area. 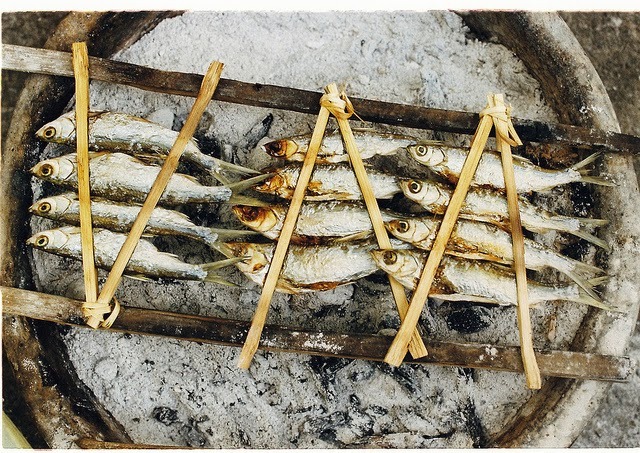 However, according to the people of Phu Yen, those only caught in NgânSơn River will provide fresh meat, fragrant and chewy. That's not surprising when Sharpbelly in Ngan Son River is listed par with Ô Loan lagoon oysters (a famous specialties around the country) – and definitely listed in our list of Best Vietnamese Food. 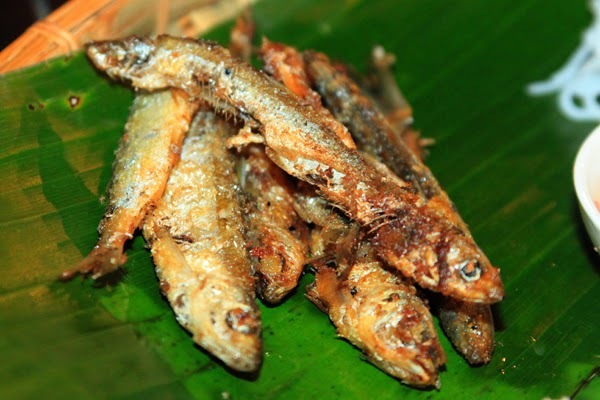 Crispy Golden Grilled Sharpbelly – its smell is really attractive. Fresh Sharpbelly is caught, washed and grilled (or fried) then will be cooked over charcoal fire. When grilling, you need to always turnover each side so that its scab is cooked without being charred. When you can smell its attractivefragrance then you can pick up a plate and enjoy. 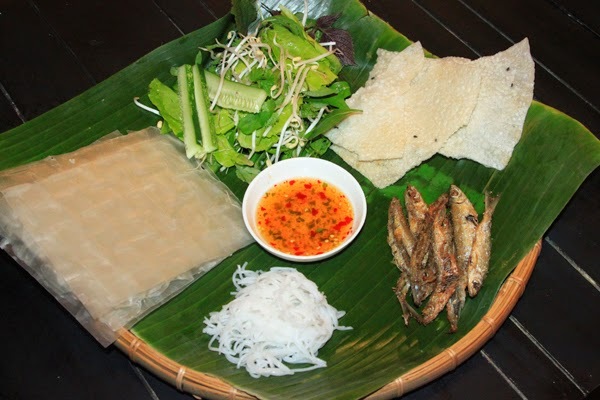 It is served with vegetables of all kinds, fresh rice noodles, rice paper with spicy sauce. There are many ways to eat Grilled Sharpbelly (Cá mương nướng) – one of our Best Vietnamese Food, you can eat with fish sauce and rice. 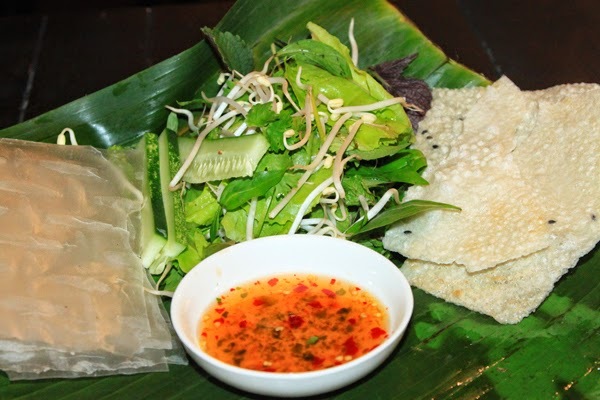 But the most delicious way is to roll with ricepaper and other vegetables, such as lettuce, cucumber; fragrant basil; slip basil; fresh beansprout; Perilla; ... along with spicy chilli fish sauce. In windy afternoon here, having sit down next to a charcoal fire, grill a bunch of Sharpbelly till it is golden and enjoy will not be a letdown to anybody.